Why we CAN’T Quit Essential Oils and How We Use Them Daily! I have gotten asked a lot lately how I create my Design Boards or some call them a Mood Board. This is not just something for designers. It is so helpful in pulling any room together. Or helping you achieve your “look” for your home.This is a MUST before you start buying a thing for a room. The first step I take in designing a room is to make a plan. DO NOT just go out and purchase things, I can’t stress this enough. You will waste a lot of money, time and end up far from the look you are trying to achieve. #2- Make a simple floor plan of the space. You can find drafting paper HERE that each square is one foot. Really anyone can sketch a room to scale. I also use a furniture template like THIS with the basic furniture pieces that are to scale. Or there are apps for iPads like notability app. #3- Pick one inspiration piece BEFORE you look for an inspiration photo. I typically like to look for a rug as the starting off point. A pillow or piece of art could also be an inspiration piece. 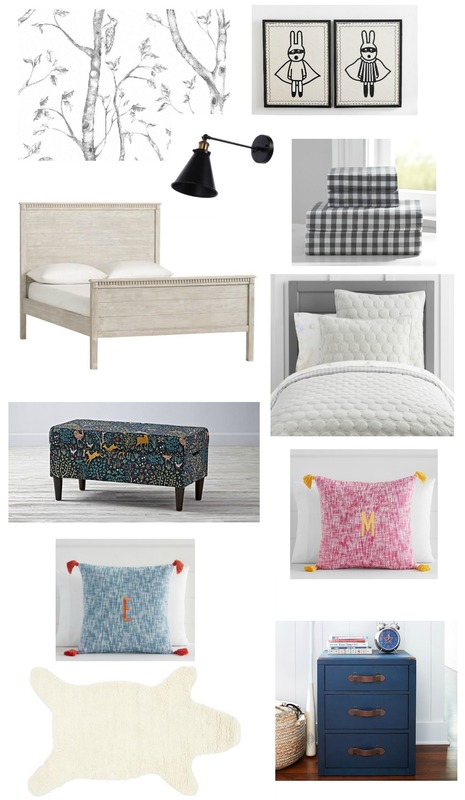 #4- Look for pieces online and use them for your Design Board. You might not actually purchase them online but they will be the “idea” of what your dream room would look like. #5- Create a Design Board a “Dream Board” a “Mood Board” whatever you call it- it will be your instruction manual!! Stick to it! #6- If you get stuck then head to Pinterest! I have been working on our bathroom and having a hard time deciding on wether to doing tile up the wall or shiplap. So I typed in both of those options in Pinterest, looked at photos and that helped to confirm my choice. There are A LOT of ways to create a Design Board and I have tested a lot. You can simple open up a word document and copy and paste images to that blank document. Or I know many who just use power point. 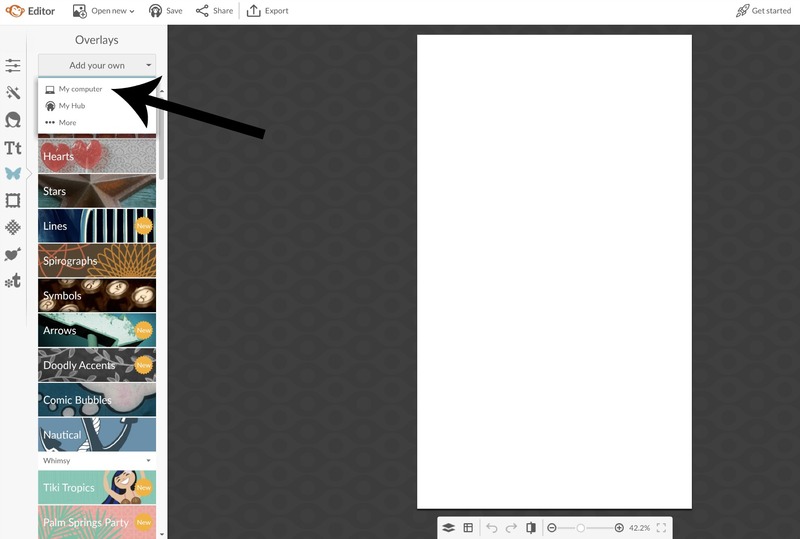 It is easiest to screen shot the image like I do when I create a design board below….. I found that this way is the easiest, fastest and most customizable. I use www.picmonkey.com and I do pay the extra to have more options and to be able to save my creations. (I believe you can do a trial period for free then decide if you want to keep it). On the Left Hand Menu Bar there is a BUTTERFLY click on that. Then at the top you will see ADD YOUR OWN this is where you can add in any graphics you want on your design board after you select MY COMPUTER. 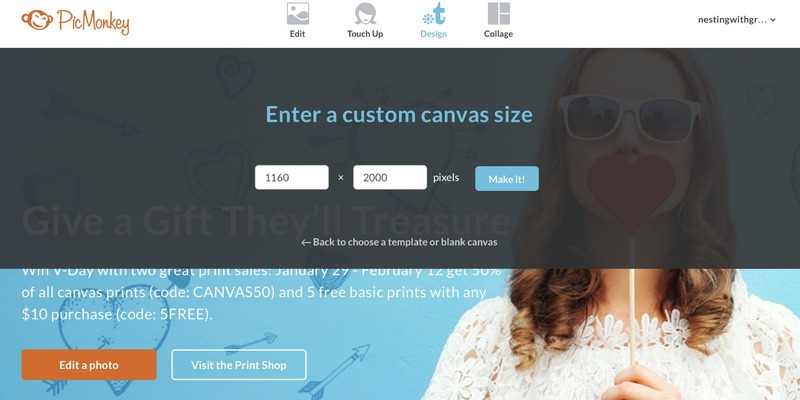 The easiest way to get those images you want on your design board is to screen shot them when you are on a web site. 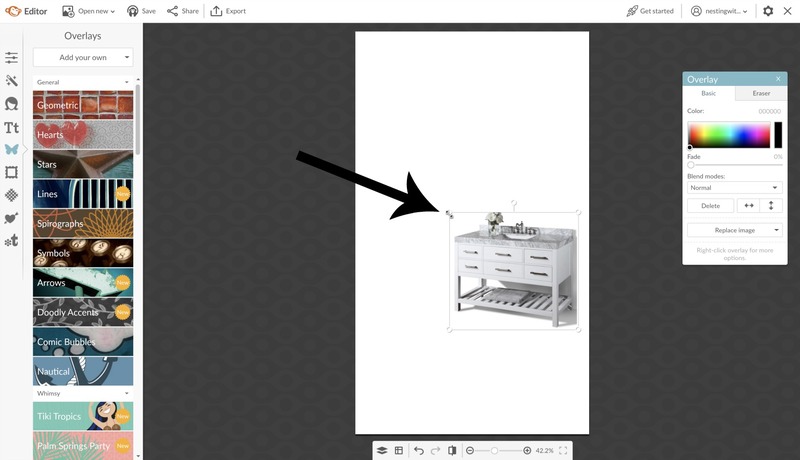 That way you can crop around the image and get just what you want to show up on your design board. Once you insert your image you can shrink it down to size and layer and group as your heart desires! If you want TEXT on the Design Board just click on the Tt and add text where you want it. I like to add a GEOMETRIC SHAPE behind the text (that option is under the BUTTERFLY too). Here are just a few of the Design Boards I have created for clients in the past. Hope it helps to get you started on yours! Family room with a little secretary desk. 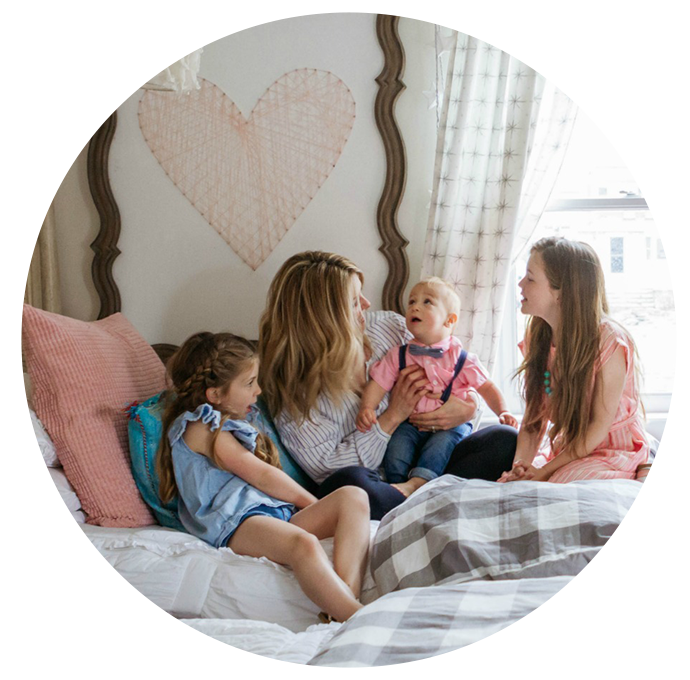 Shared kids bedroom above and family room below. Here is an example when I create a Design Board for my blog. 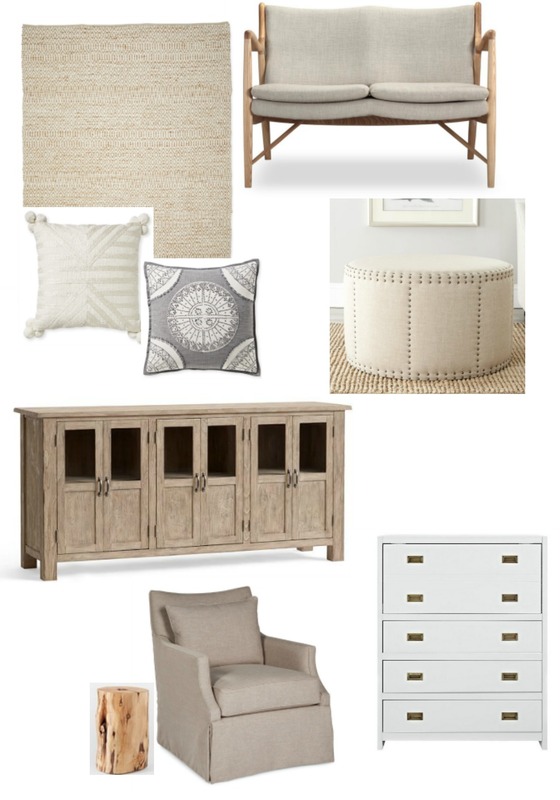 Sometimes to have cram in a lot more to show every piece and idea for the room. And that is even better because you can get a full feel of the space! 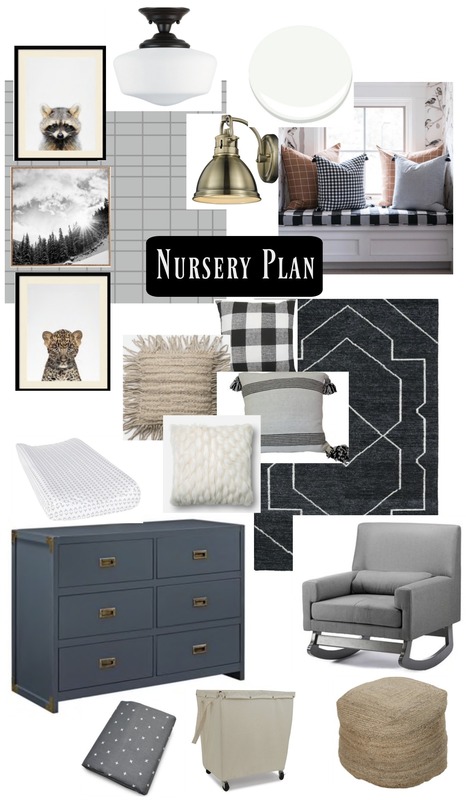 You can see THIS nursery if you missed it HERE and see how true it actually looks to my Design Board! Remember to stick to the plan and save yourself time and frustration! 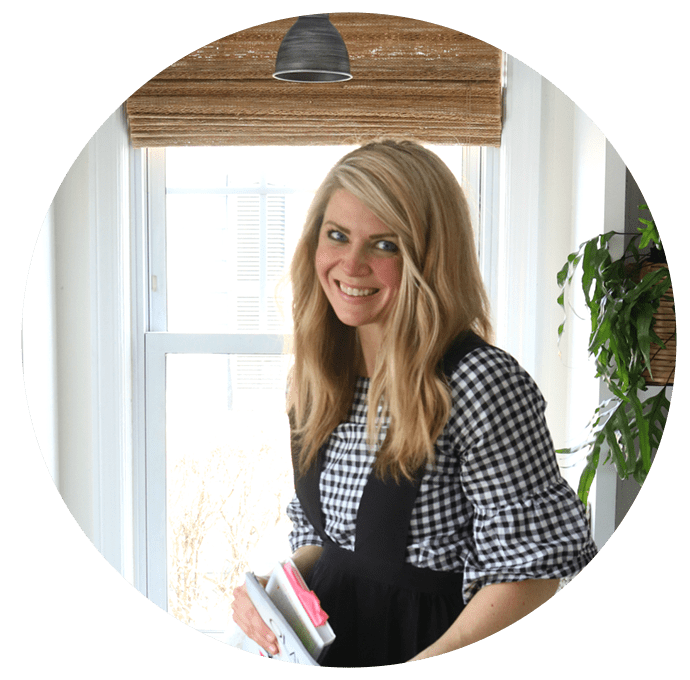 Join my newsletter subscription and get a chance to get your design question answered LIVE or on the blog! Don't Miss Any of the Fun! Subscribe Today! where is that adorable bunny with the cape artwork from??? Thanks!! Also this is a great tutorial, thanks so much for sharing! 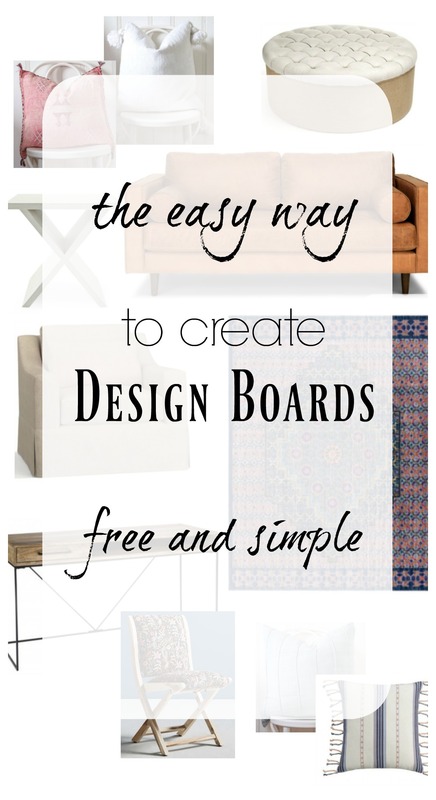 I make mine a little different for clients, but same idea- but love this for online boards! Great info. 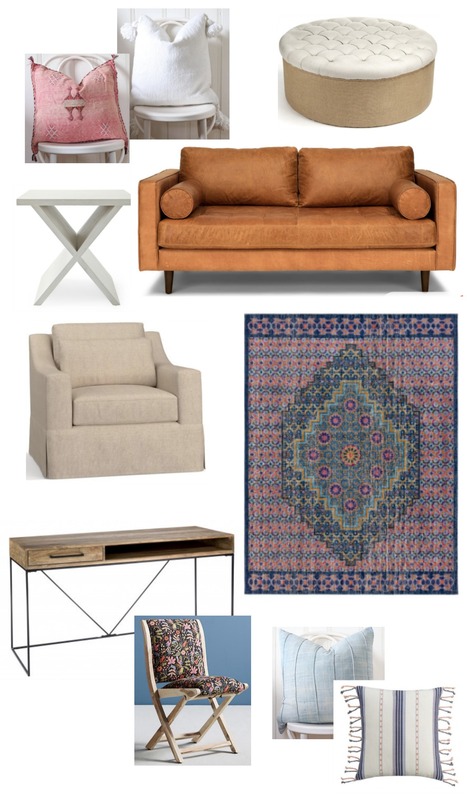 I’m trying to buy furniture and decor for our new house and have already bought things that coordinated so well in my head but not in real life. I need to try this ASAP! Any chance you can tell me where that sitting chair is from in the top design board(family room with secretary desk)? I’m looking for something exactly like that. Thank you so much, this is very helpful. I feel so lost getting started in designing a room. I don’t have wood floors, so don’t think I should probably use a rug as design inspiration? Thankfully we have a neutral carpet color in our home, but all my favorite rooms online have wood floors, but i don’t think I can afford to change that. :^( I would so love to see how you go about building a room off of an inspiration piece. Is the inspiration piece basically something that will help you build colors in your room? Yes the inspiration piece is the start for colors- it could even be a floral mug or plate! Thank you so much for sharing this! So helpful, and I can’t wait to get started! Thank you for this post. I have just started following and it is fun to watch all the changes you are making. 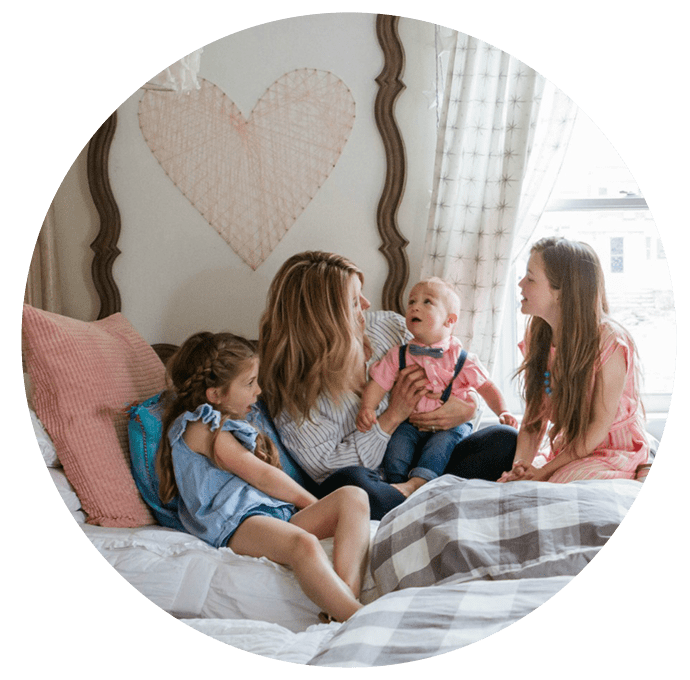 I went to pic monkey to design my daughters room (age11) but the site wanted money in order to save it. Darn. I just took a pic of it with my phone. LOL. I also see the last time I was on Wayfair that they offer design boards as well. Oh and the other day you asked about Ikea. I would most likely go there everyday if they were in my area. We do not have any awesome stores like that in Maine.